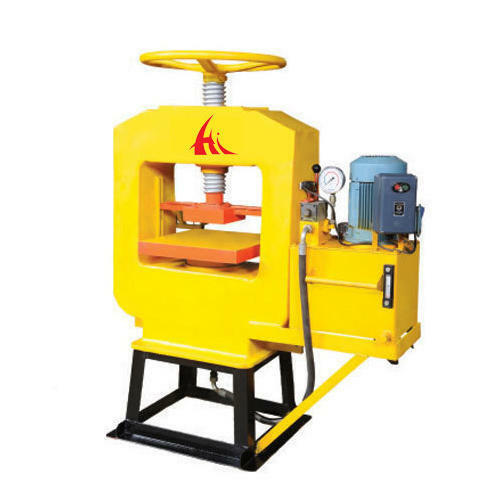 As a prestigious entity, we are offering the finestOil Hydraulic Press With Power Pack. This machine is engineered and developed in complete adherence with industry norms using Mild Steel plats, Steel Structure, Hard chrome piston, Wiper on Cylinder Top, 5 HP Motor, Rating Gauge and other required parts. This type of hydraulic press is ideal to used for manufacturing chequered Tiles, Cement Tiles, Elevation Wall Tiles and Galicha Tiles. The production capacity of thisOil Hydraulic Press With Power Packis raging from 1200 to 1500 piece per shift.